The perfect drainage for industrial flooring – a place where hygiene related issues are of the utmost importance. Thanks to its distinct shape, the slot channel is the most efficient system for this type of application. Why choose a slot trench drain? The ability to withstand heavy loads without a grating makes it a simple, economical solution. Pre-installed PVC edge reinforcement, optimizes durability and hygiene. The “V” shape of the bottom and the internal slope of 5 mm / m helps avoid liquid stagnation inside the channel. The trench drain unit is made-to-measure and can be combined with gullies. Odor trap and sediment buckets are optional. BG stainless steel systems are manufactured according to your specification, to meet all your requirements. We provide a simple and intuitive design, with all the necessary instructions for installation. 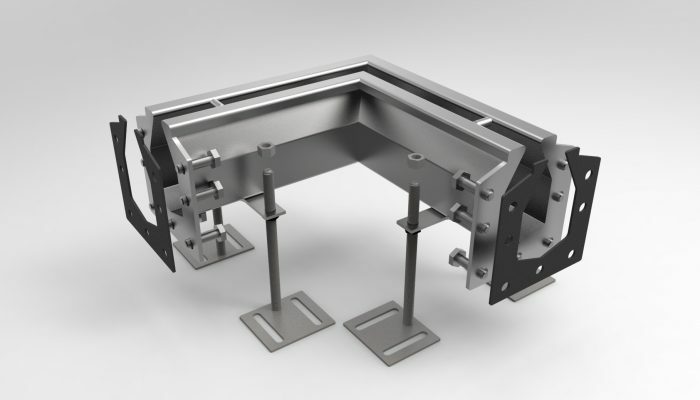 Made entirely of STAINLESS STEEL 304 (on request 316) in thickness of 2 mm, each module has lateral anchor hooks in the concrete, screws and leveling feet, to best position the channels during laying operations. 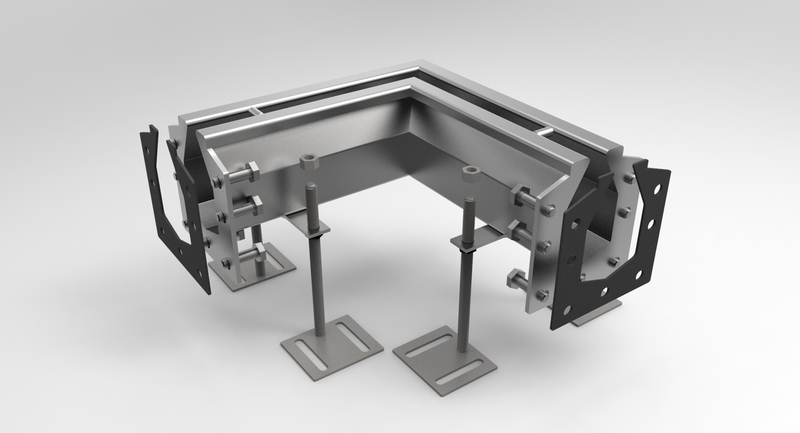 Junctions between the modules are connected with flanges, and sealed with EPDM (or Teflon on request) and stainless steel bolts. This guarantees a perfect waterproof connection. There are detailed and numbered schematic diagrams in the assembly kit for each correct supply for the correct mounting sequence, laying and storage tips.